Careers - Pygott & Crone - Houses. Homes. Harmony. At Pygott and Crone we believe our key strength is in our people, having grown since 1991 from inception to now employing over 100 dedicated staff covering a diverse range of services throughout Lincolnshire. We believe by investing in the training and development of our staff’s skills will ensure we continue to deliver an unrivalled range of services to our clients. If you are a highly motivated individual with good communication skills and possess a desire to succeed we would be more than happy to hear from you. Email your CV to careers@pygott-crone.com with a covering letter. We have an exciting opportunity for a designer to join our marketing team based at our head office in Sleaford. Our estate agency has built an award-winning Brand which is recognised for excellent customer service to clients as they progress through their property journey. The successful candidate will help to promote and market this brand through print, web, animation, video, and social media platforms. 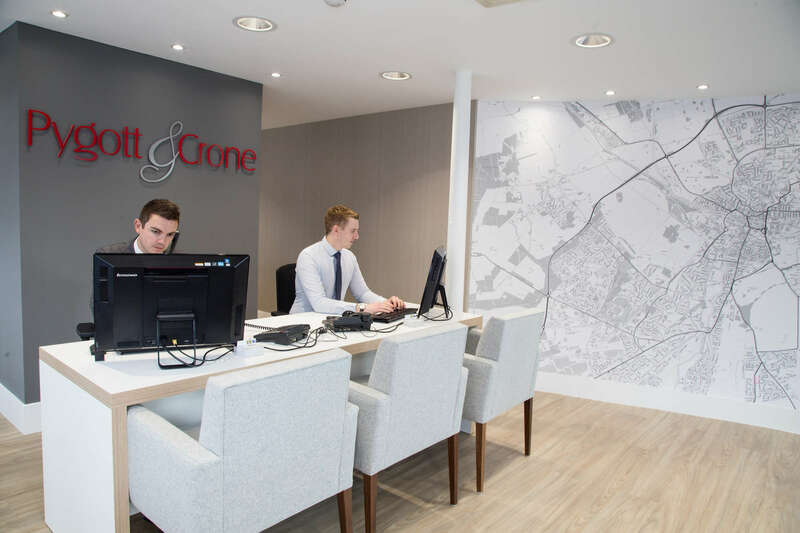 Pygott and Crone require a full time Negotiator/Valuer based at our Spalding branch who has a passion and desire to be successful whilst delivering first rate customer service. Sales experience is essential as well as a full driving licence. The ideal candidate will have a mature attitude, be of smart appearance and can deal with clients professionally at all levels. They will need to be self-motivating and work well as part of a team.